HMAS Collins transits the entrance of the channel. Image via Commonwealth of Australia, Department of Defence. After a decade of uncertainty, problems and a plagued reputation, the Adelaide-built Collins Class submarines have finally come off Defence’s ‘shame list’. As reported by Defence Connect in July, ASC was given a further five-year contract for the sustainment of the Collins Class submarine fleet, which has now officially made it off the projects of concern list. ASC’s interim chief executive Stuart Whiley said the move recognised the high performance of the Collins Class program, carried out by the Submarine Enterprise, including ASC as submarine platform sustainer and upgrader, the Royal Australian Navy, the Defence Department and Raytheon Australia. "ASC welcomes the recognition by the government of the enterprise’s success in dramatically improving submarine availability for the Royal Australian Navy," said Whiley. “This decision recognises the fantastic work and expertise of our leading submarine platform personnel, from our skilled production trades to our engineers, project managers and supply chain managers. "Following an organisation-wide program of innovation and reform commencing in 2012, ASC is now performing at or above international benchmarks for its scope of work on Collins Class submarine." 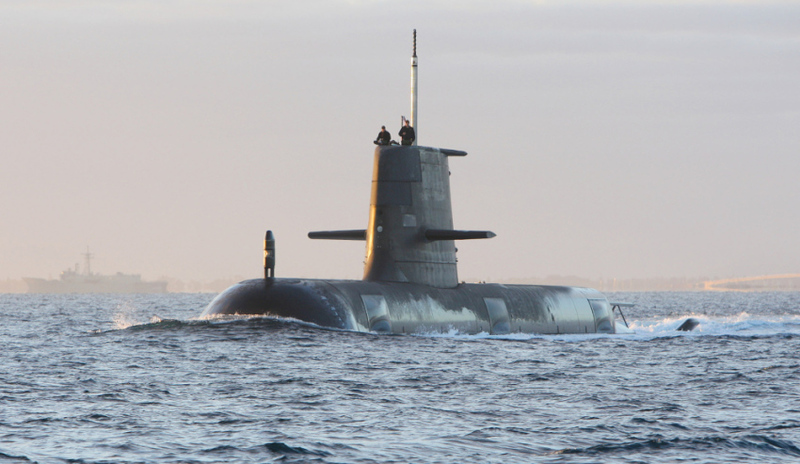 Following the commission of the submarines in the 1990s, the Australian-built submarines experienced technical problems across its combat systems, periscopes and propulsion. Minister for Defence Industry Christopher Pyne said despite the issues faced by the project, its poor reputation was somewhat unfounded. "Unfortunately, the Collins Class submarine project has suffered from reputational damage over the years," Pyne told reporters at the Pacific 2017 maritime showcase in Sydney. "I think quite a bit of that was ill-informed." Additonally, the expertise and experience of Raytheon Australia, in the role of Collins Combat Systems Integrator, will be leveraged to coordinate a communications upgrade.